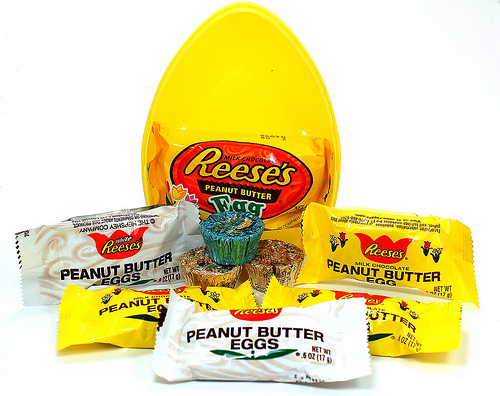 Who knew that a Reese's Egg would be the perfect panoramic sugar egg mold? 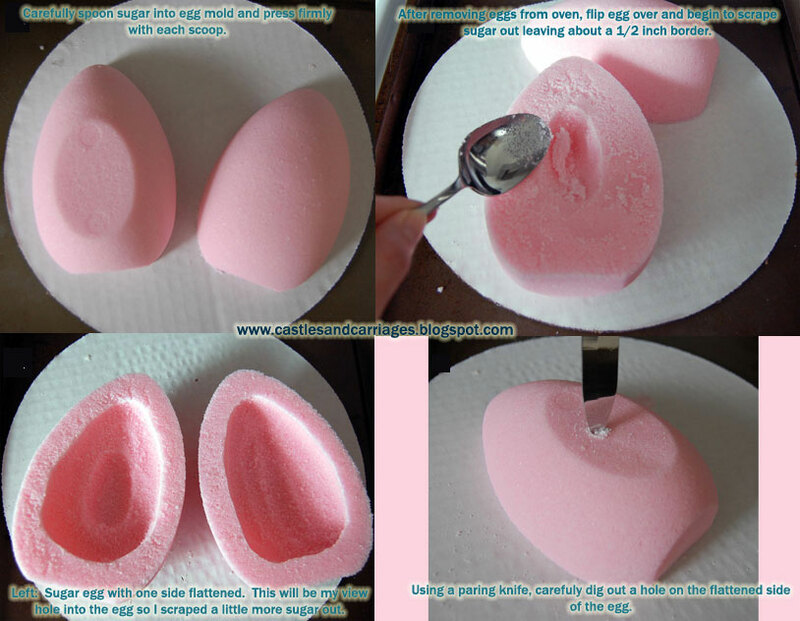 This recipe makes one sugar panoramic egg. The sugar that is scraped off of the inside can be reused but I have found that the sugar does not have such a smooth appearance nor does the sugar remain very compact when used more than once. 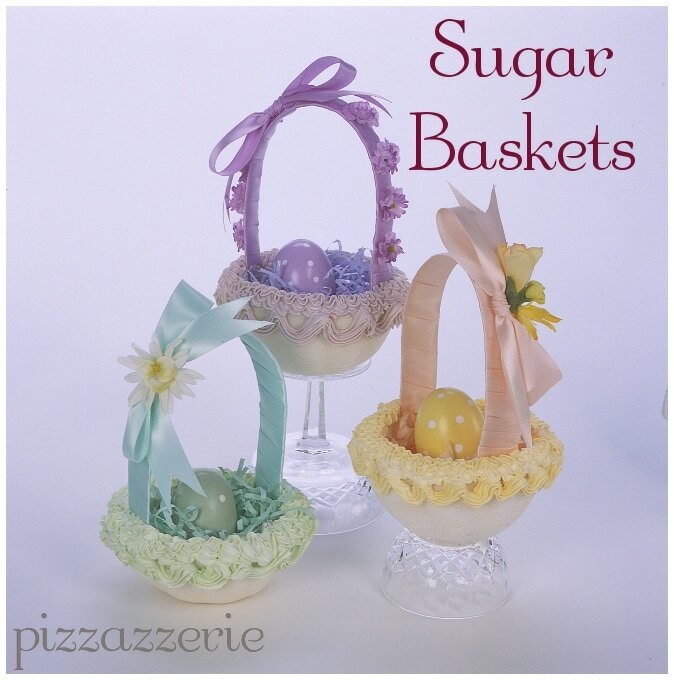 This recipe can be used to make sugar baskets as Courtney did on her blog Pizzazzerie or sugar rabbits as you'll see below. Most of the instructions that I see online are for panoramic sugar eggs that lie flat. I personally like the eggs to sit straight up with a view hole in the front. Scroll down to read detailed instructions! Whisk egg white until frothy then add food coloring. (No more than two drops were needed for my sugar eggs.). Add sugars and blend well. Soon the food coloring will mix well into sugar and the consistency of the sugar will become like damp sand. Now you're ready to begin putting your sugar into the mold! Quickly begin spooning the sugar into your mold, pressing the sugar into the mold firmly with each scoop. Pack in the sugar as much as you can to prevent cracks. Using an offset spatula (or flat edge of some sort) gently scrape off the top of the molds to create a smooth, flat surface. Place your cardboard on top of the molds. While holding the molds, gently flip the cardboard over. Take off the molds. Put the cardboard with the sugar eggs on a cookie sheet and bake at 200 degrees for 25 minutes. Take out the sugar eggs and begin scraping the underside of the eggs. 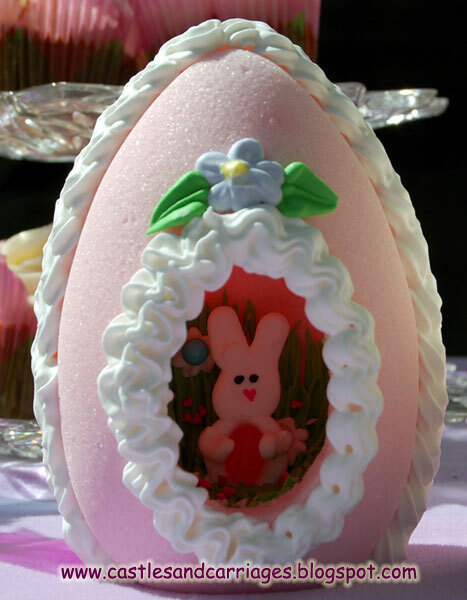 Leave about a 1/2 inch border around the sugar eggs so they remain stable after decorating. Leave out to fully set overnight. Use royal icing to decorate the inside of the egg (the half without the hole). Then use royal icing to seal the egg halves together and decorate some more! Beat all ingredients at low speed for 7 to 10 minutes, or until icing forms peaks. Keep covered with wet cloth as royal icing will dry hard! For best possible results, make sure that your KitchenAid Mixer or hand held mixer has no trace of grease in the mixer beaters/bowl. 1. Where can I find meringue powder? Meringue powder can be found at a craft store where the cake decorating supplies (ex. 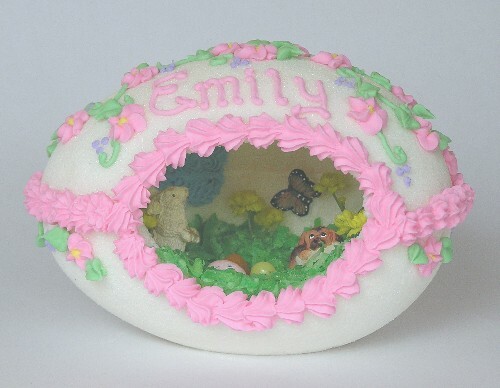 Wilton) are shelved or in the craft section of Walmart. 2. How long will it take for the royal icing to completely set? About 6 - 8 hours. 3. Are these sugar eggs edible? Since this recipe uses raw egg whites I wouldn't recommend them for eating. You may use powdered egg white to make them edible. 4. 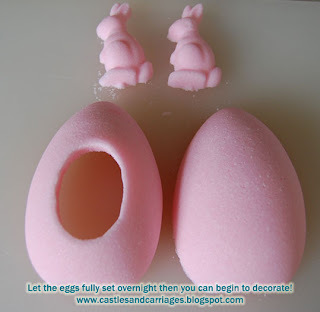 How long do these sugar eggs last? They can last for YEARS provided they are cared for properly. Extended periods of time in direct sunlight will fade the colors.